Sleep peacefully on our mattresses by Serta, triple sheeted with quilted duvet blankets, giant feather pillows and designer bedspreads. Step out on the balcony and enjoy breathtaking views of the ocean or our tropical garden and pool. 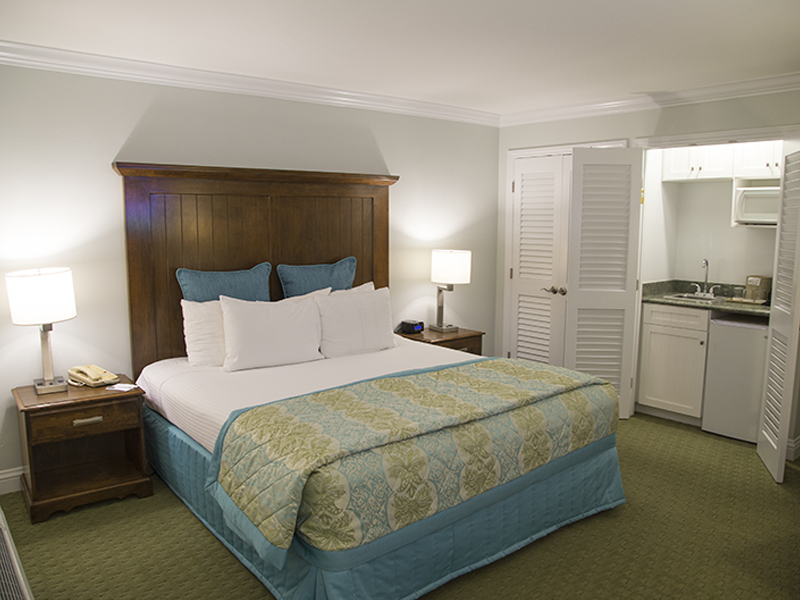 Relax in beautifully renovated guest rooms with contemporary coastal décor, warm colors and plenty of space to unwind or entertain. Step out on the balcony and enjoy breathtaking views of the ocean or our tropical garden and pool. 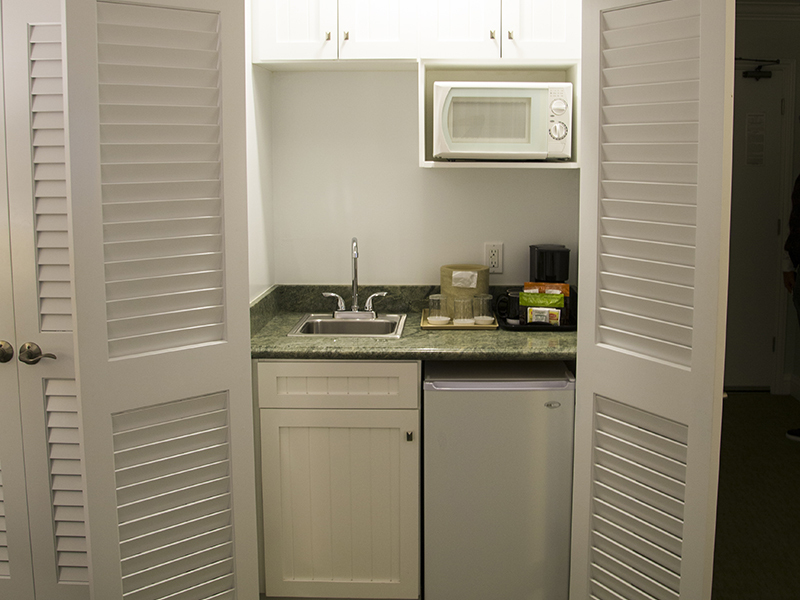 Enjoy your holiday at the beach with the convenience of a wet bar and iron/ironing board. The fresh seaside air makes relaxation a delight. Step out on the balcony and enjoy breathtaking views of the ocean or our tropical garden and pool. "Experience the charm and tranquility of the Del Mar Inn Hotel"
Brilliantly designed for both business and leisure travelers, our stylish Del Mar lodging offers modern amenities for your travel lifestyle, including wireless internet, 42" HDTV with multi-media plugins, alarm clock radio with iPod dock, coffee maker with Wolfgang Puck coffee and flavorful herbal teas. Slip into your lush bathrobe and enjoy a beautiful new bathroom with magnifying mirrors and designer bath products by Institute Swiss. All of our lovely rooms and suites overlook our beautiful gardens with a gazebo, pool and spa or the spectacular blue ocean view. Sleep peacefully on our Comfort Mattresses, triple sheeted with quilted duvet blankets, giant feather pillows and designer bedspreads. 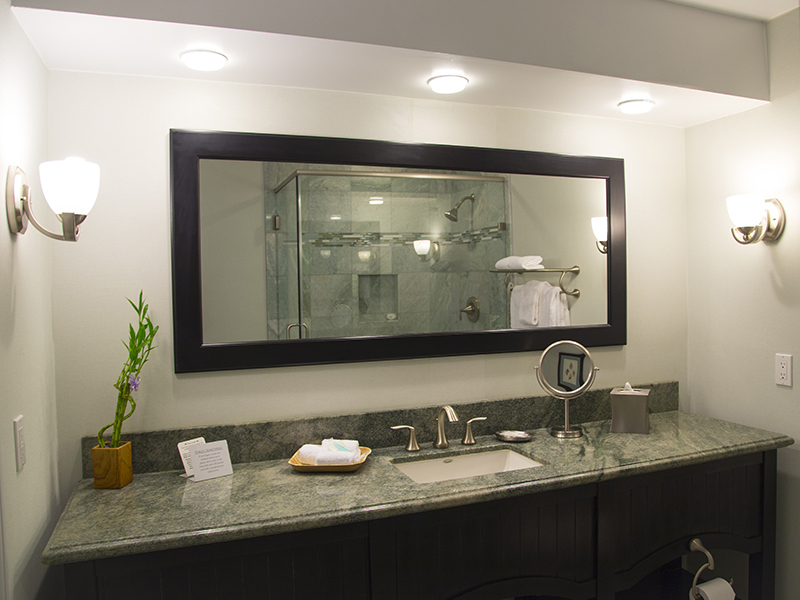 Enjoy your holiday at the beach with the convenience of a wet bar and iron/ironing board. The fresh seaside air makes relaxation a delight. Get away to the breathtaking north coast of San Diego with our hottest hotel packages and specials. Escape for a romantic weekend getaway, enjoy a playful weekend at the beach, or indulge in a relaxing bed and breakfast style retreat. Check out our great hotel deals and specials for easy escapes to the San Diego shores. Click on a desired package to learn more. Escape to the north coast of San Diego to our tranquil bed and breakfast style retreat. Sleep peacefully in luxurious bedding, wake up to a hot breakfast in the hotel café and stroll down to the beautiful Del Mar beach. Surrounded by beautiful European-style gardens and breathtaking ocean views, our charming Del Mar boutique hotel offers the tranquility and hospitality of a San Diego coast bed and breakfast with the luxury of a deluxe-service hotel. Start your day with a healthy breakfast in our Café, walk to the white sandy beach, relax in the sparkling pool or stroll down to the village for laid-back shopping and dining. Enjoy a relaxing bed and breakfast retreat in Del Mar - minutes from La Jolla and San Diego. Book now! Contact our friendly professional staff to check availability for this San Diego bed and breakfast package. Our staff will be happy to answer any questions you have and to provide assistance with making San Diego travel plans. Call or contact manager@delmarinn.com for details. Go from business to the beach with our San Diego Corporate Package. 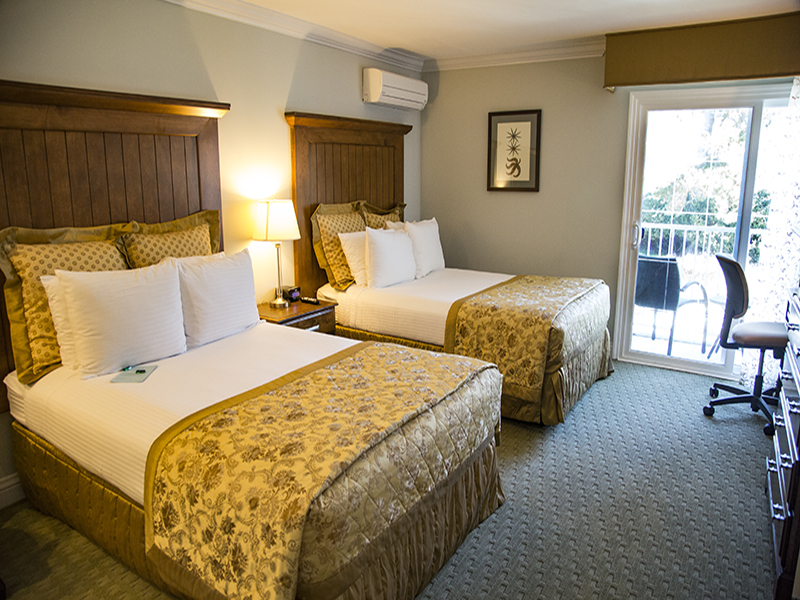 As one of the leading hotels near San Diego's biotech area, the Del Mar Inn Hotel caters to executive travelers with a host of upscale services and amenities within easy walking distance to beaches. Choose to enjoy it all with the San Diego Corporate Package, which features a complimentary upgrade to Ocean View Rooms when available, complimentary breakfast buffet, courtesy coffee and tea reception to greet you upon arrival, luxurious outdoor swimming pool and relaxing spa, well-equipped fitness center, and free shuttle service during scheduled hours. Book now! 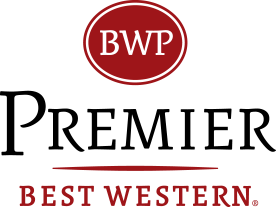 Contact our friendly professional staff to check availability for special San Diego corporate rates and packages. Our staff will be happy to answer any questions you have and to provide assistance with travel plans and local recommendations. Call or contact manager@delmarinn.com for details. Fall in love with the charming village of Del Mar, which provides an unforgettable backdrop for romantic weekends made for two. Enjoy shopping, dining, and sightseeing. 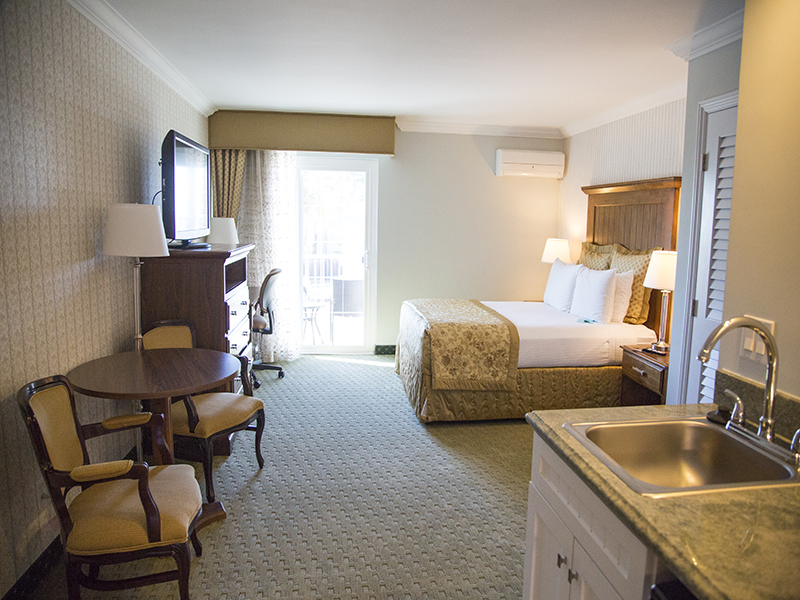 Or simply relax at the hotel, and indulge in deluxe accommodations and comforts. Share moments of magic at the Del Mar Inn Hotel! Just outside San Diego, the quaint village of Del Mar, California provides an unforgettable backdrop for romantic weekends made for two. Explore exciting underwater attractions at the Birch Aquarium. Walk to beautiful beaches and charming downtown shops. Enjoy fabulous entertainment at the La Jolla Play House Theater. Savor an enchanting evening with a romantic dinner at sunset. Or simply relax at the hotel and enjoy deluxe accommodations and fine amenities, such as complimentary breakfast buffet each morning, fitness center, outdoor swimming pool and spa, plus free shuttle service during scheduled hours to local attractions. Our romantic San Diego getaway package is the ultimate way to experience it all! Call or contact manager@delmarinn.com for details, and to check availability for this romantic San Diego, California getaway offer. Our staff will be delighted to answer any questions you have and to provide assistance with your travel plans, provide excellent local recommendations, and make dinner reservations. Surf's up in San Diego! Within walking distance to some of the world's safest swimming beaches, the Del Mar Inn Hotel in Del Mar provides the perfect place to experience surfing, snorkeling, body boarding, Boogie boarding, kayaking, and wind surfing. The San Diego Surf Package offers the ideal way to enjoy all. Dive right in for fun with our San Diego Surf Package! Within walking distance to some of the world's safest swimming beaches, the Del Mar Inn Hotel in Del Mar provides the perfect place to experience fun in the sun! From our beautiful San Diego area beaches, enjoy surfing, body and Boogie boarding, snorkeling, paddle boarding, kayaking, and wind surfing. Hit the water for a relaxing swim or extreme adventure - or simply bask in the sun on our beautiful white sand beaches while gentle ocean breezes wash over you. It's all yours with the San Diego Surf Package, which features deluxe accommodations, complimentary breakfast buffet served fresh each morning, fitness center, sparkling outdoor swimming pool and spa, plus free shuttle service during scheduled hours. Contact our friendly professional staff for more details or to check availability for special San Diego beach packages. Our friendly staff is standing by to answer any questions you have and to provide assistance with your travel plans, local recommendations, plus information about surfing schools and water sports. 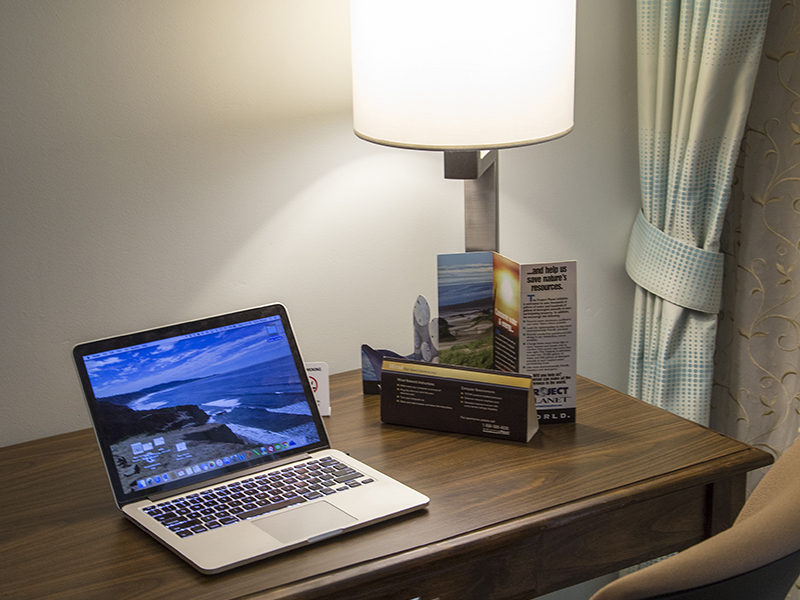 Call or contact manager@delmarinn.com now for details and booking. The Torrey Pines Golf Course is world-famous golf destination. At the Del Mar Inn Hotel, we have the ideal way to enjoy an unforgettable golf outing at Torrey Pines Golf Course as well as many of the finest San Diego area golf courses, including Encinitas Ranch Golf Courses. Named after the rare Torrey Pine that grows only two places in the world, here in San Diego County and Santa Rosa Island, the Torrey Pines Golf Course is a rare treat that draws passionate golfers from around the world to its legendary greens. At the Del Mar Inn Hotel in Del Mar, California, we have the ideal way to enjoy an unforgettable golf outing at Torrey Pines Golf Course as well as many of the finest San Diego area golf courses, including Encinitas Ranch Golf Courses. Our Torrey Pines Hotel & Golf Package has everything you need to experience a prestigious PGA Tour golf course and relaxing seaside vacation, including: deluxe accommodations, complimentary breakfast buffet served fresh each morning, fitness center, sparkling outdoor swimming pool and spa, plus free shuttle service during scheduled hours. Book now! Contact our friendly professional staff for more details or to check availability for special San Diego golf vacation packages. Our friendly staff is standing by to answer any questions you have and to provide assistance with your travel plans, local recommendations, even make tee times. Call or contact manager@delmarinn.com for details. Get your feet wet. . . Explore more local attractions, dining, nightlife, and activities today! A haven for surfers, nature lovers, and vacationers. Del Mar is a captivating retreat with miles of blue skies and sugary beaches for sunning, surfing, boogie boarding, swimming, snorkeling, and sunset walks.